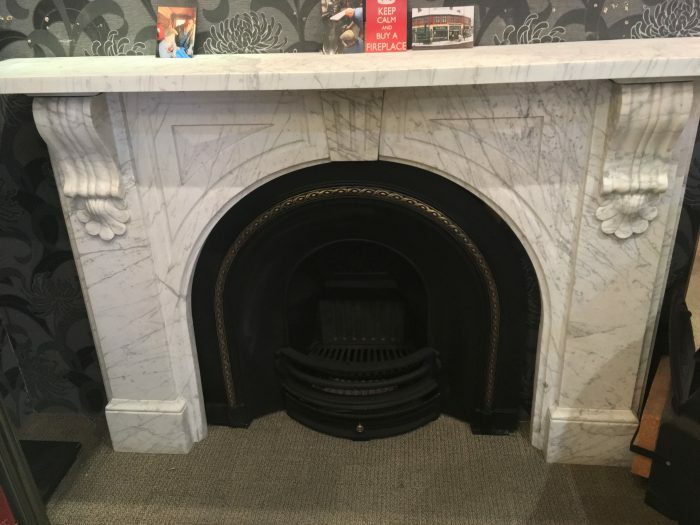 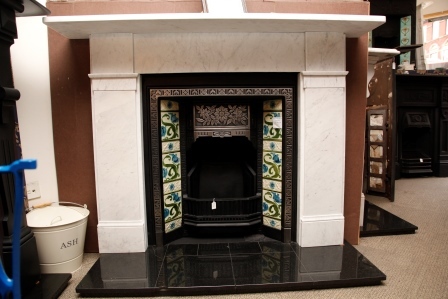 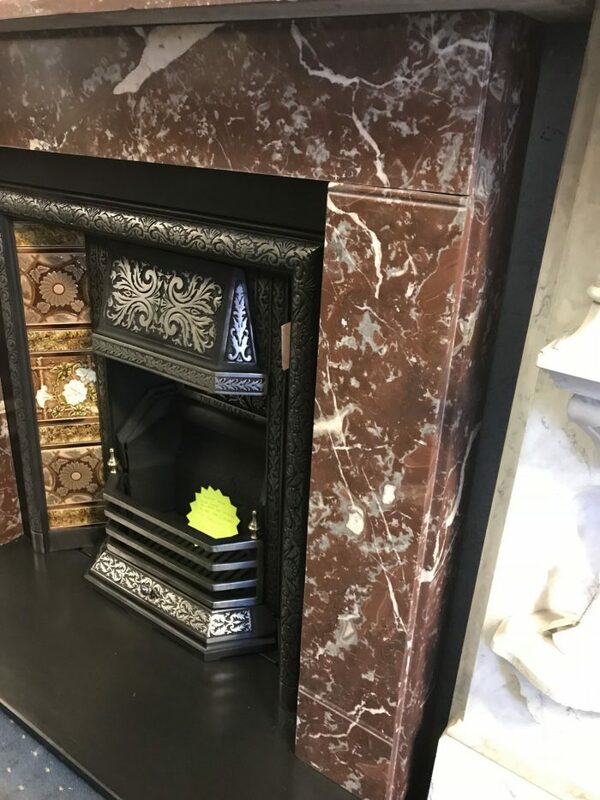 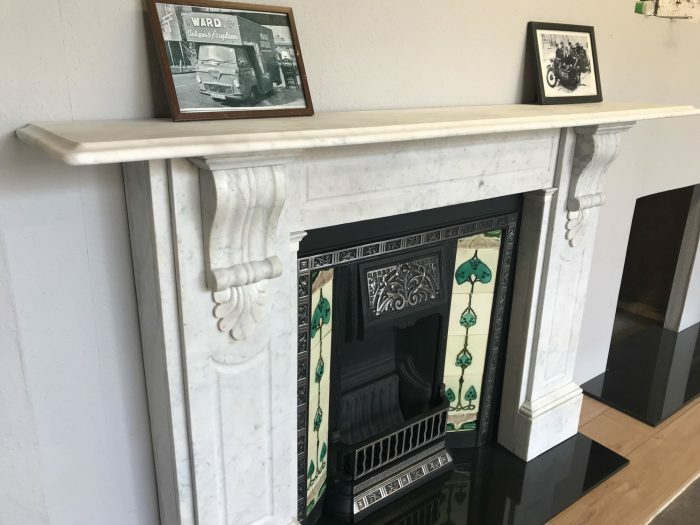 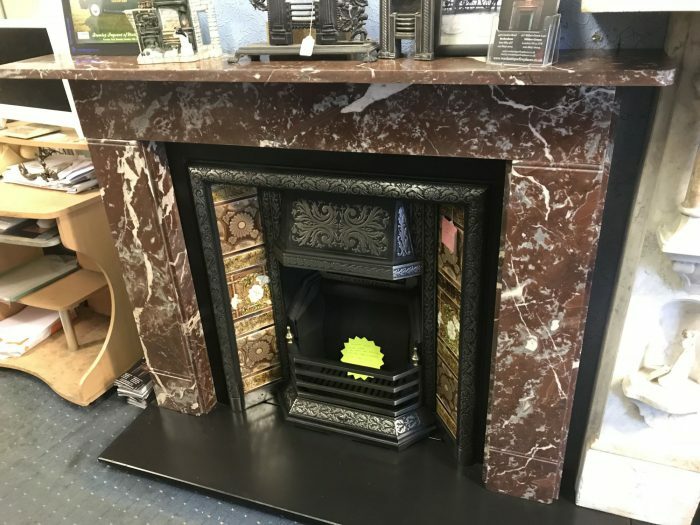 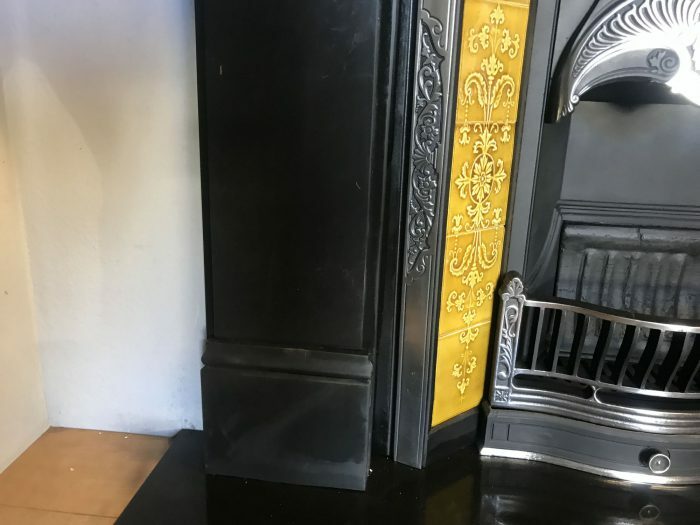 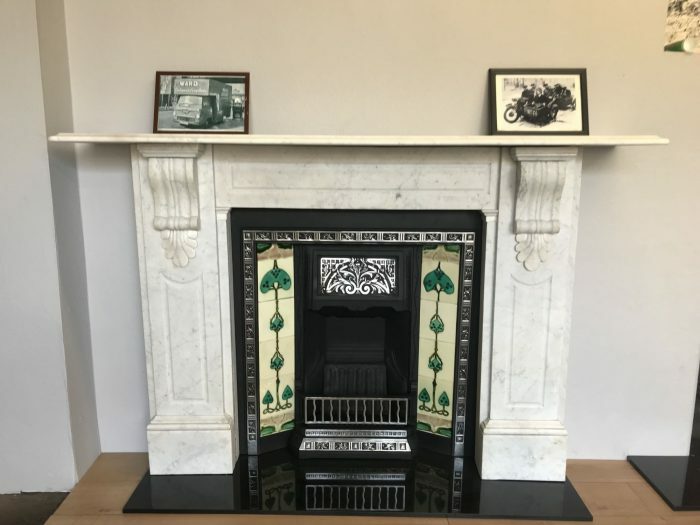 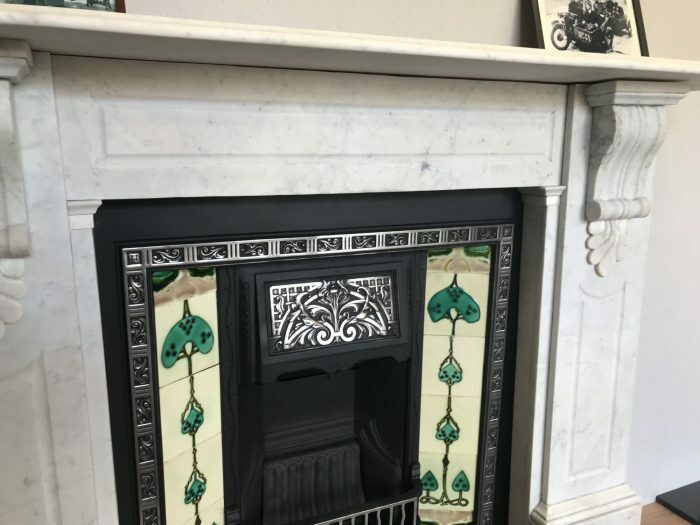 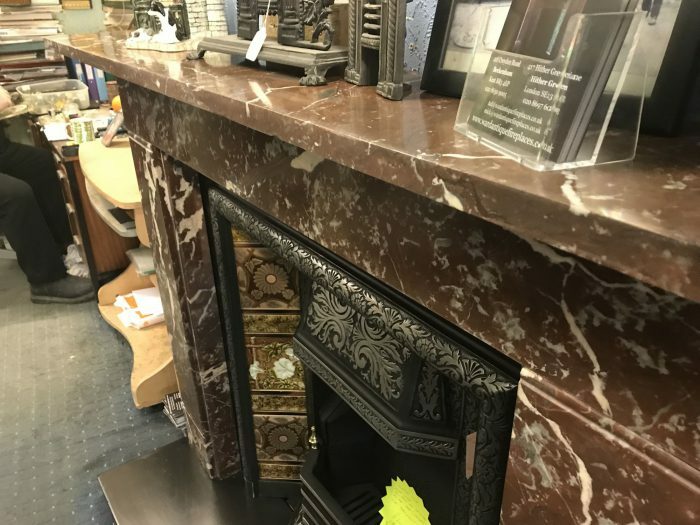 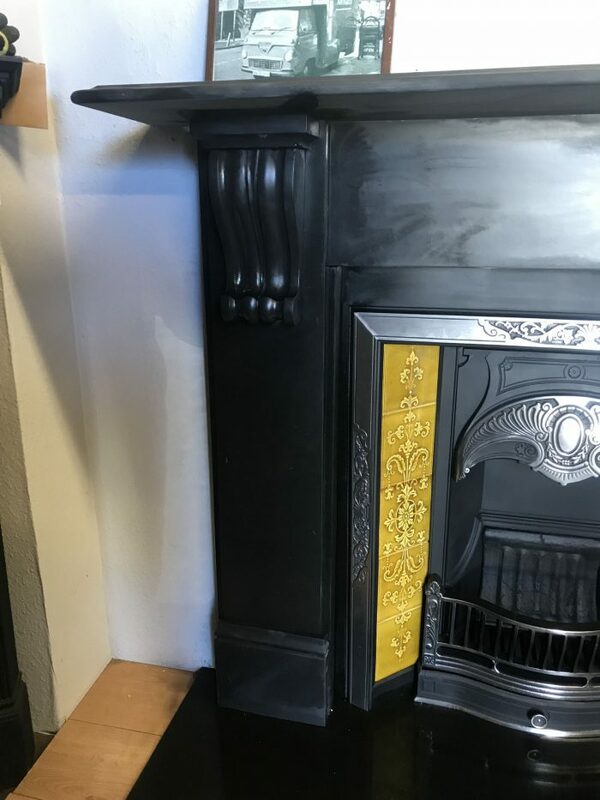 Victorian Carrara arched marble fire surround (circa 1880) with corbels and shell shelf supports, seen here with a reproduction insert with a black and brass finish. 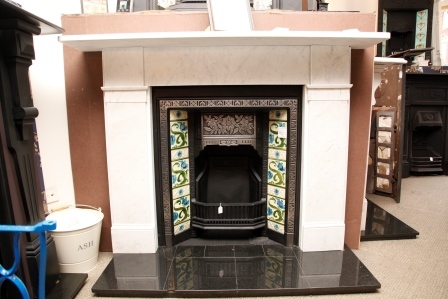 £3500 including the arched insert. 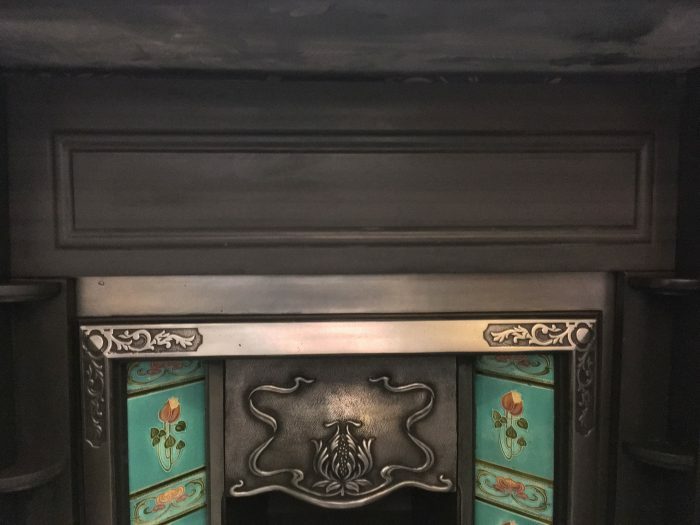 a very nice victorian slate surround with fancy corbels. 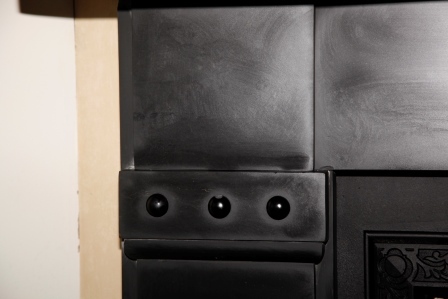 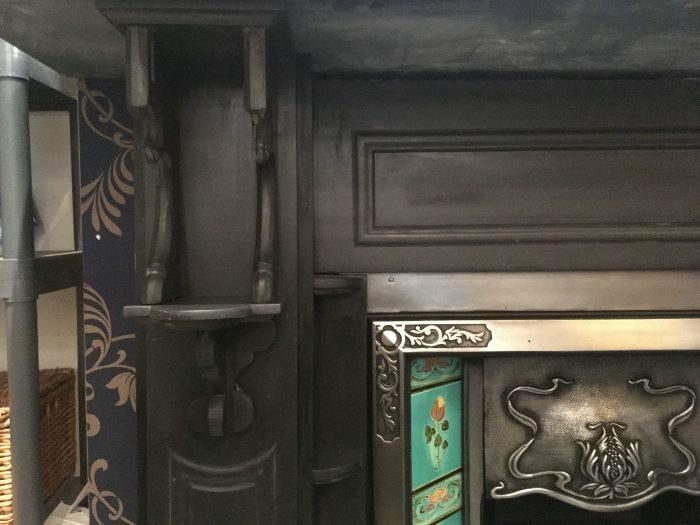 it also has purple slate along with the black slate. 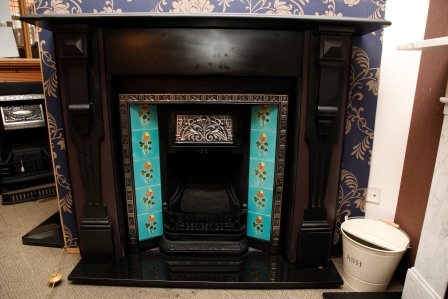 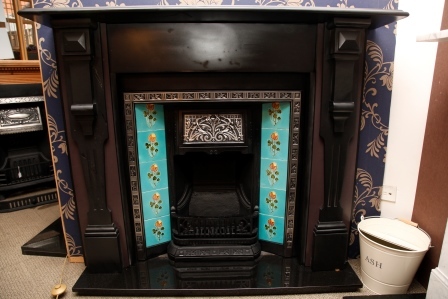 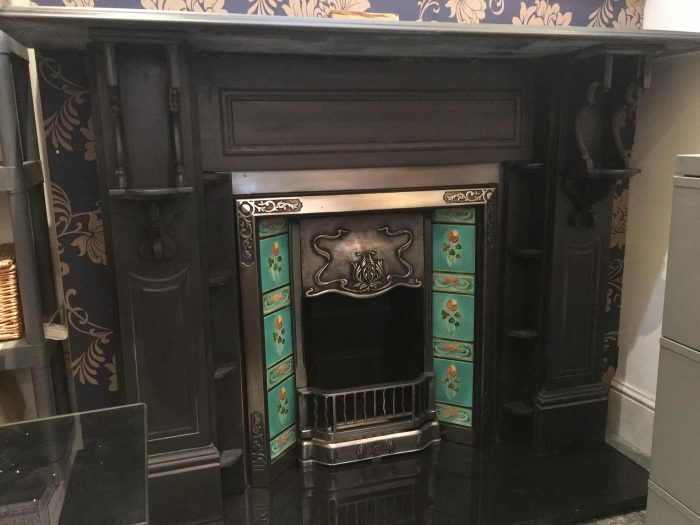 A rare Edwardian Welsh slate surround fully restored circa 1910 with side shelves. 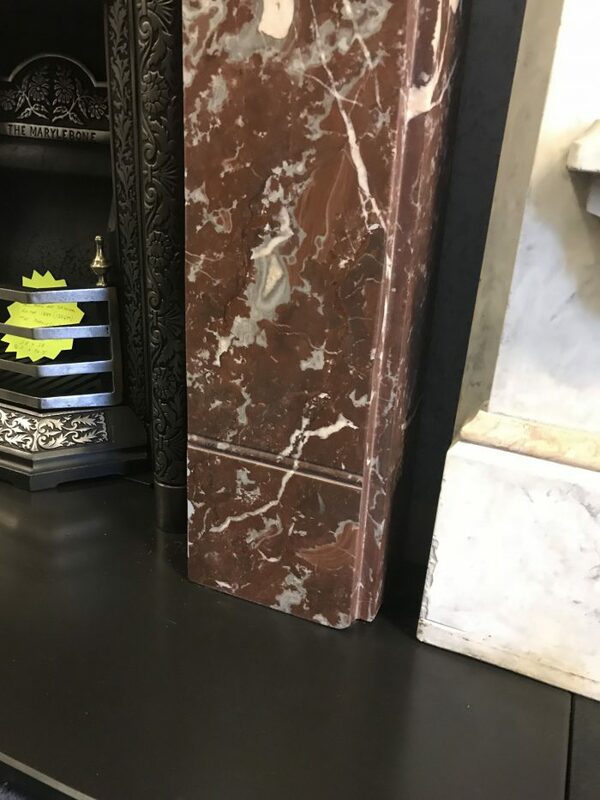 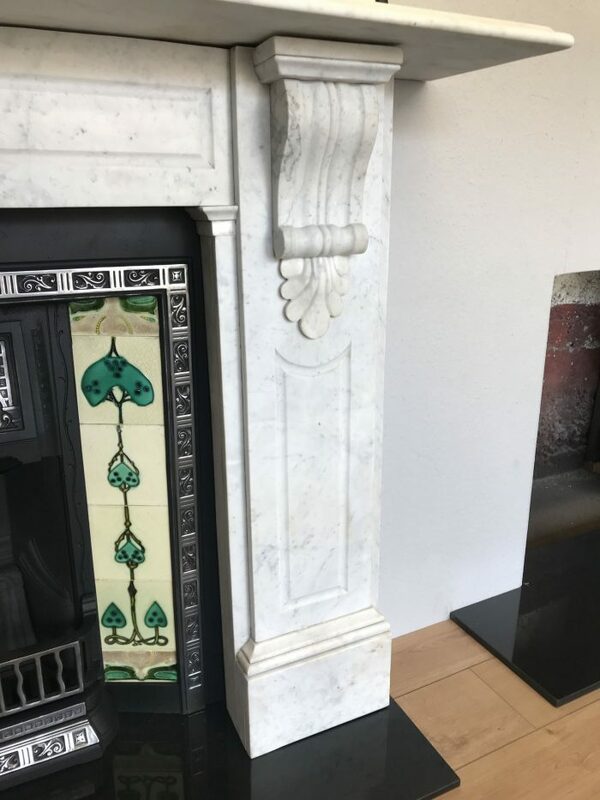 A very nice marble surround circa 1880 - 1890. 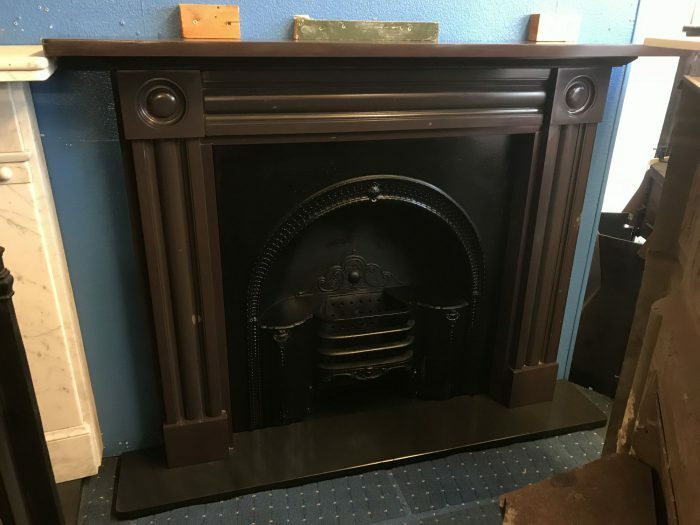 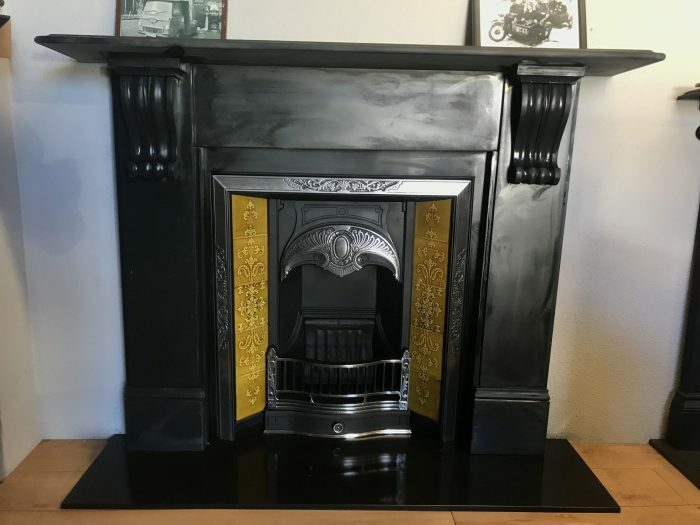 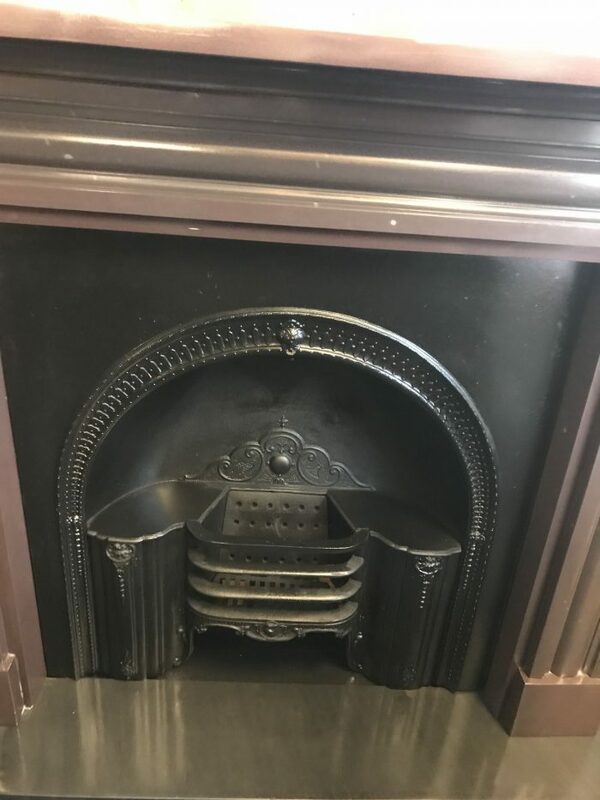 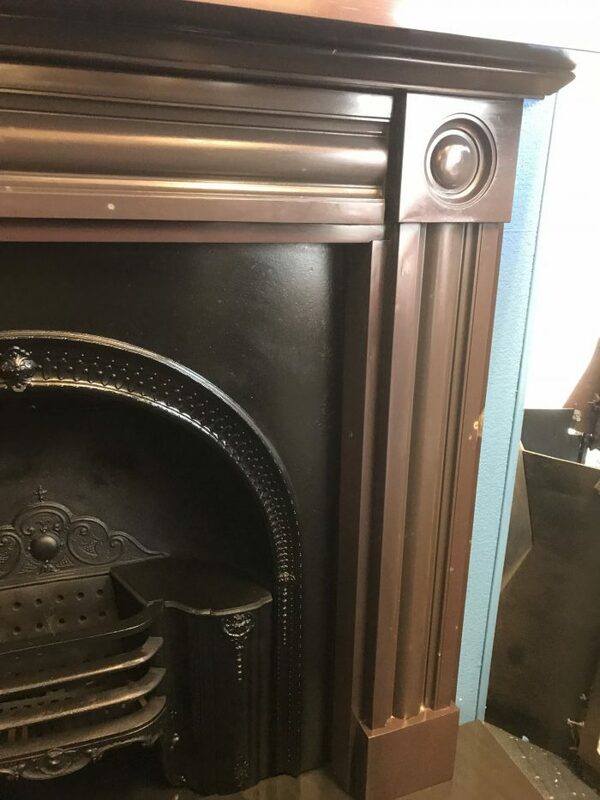 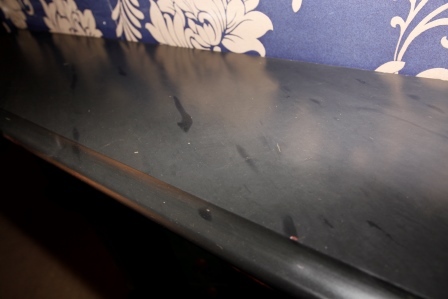 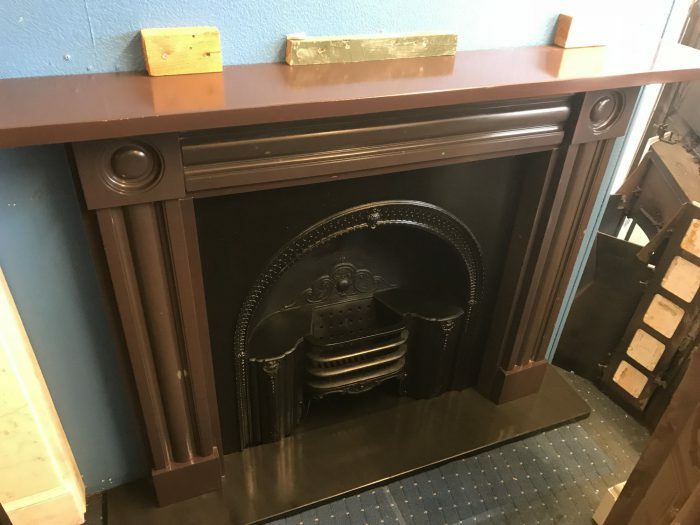 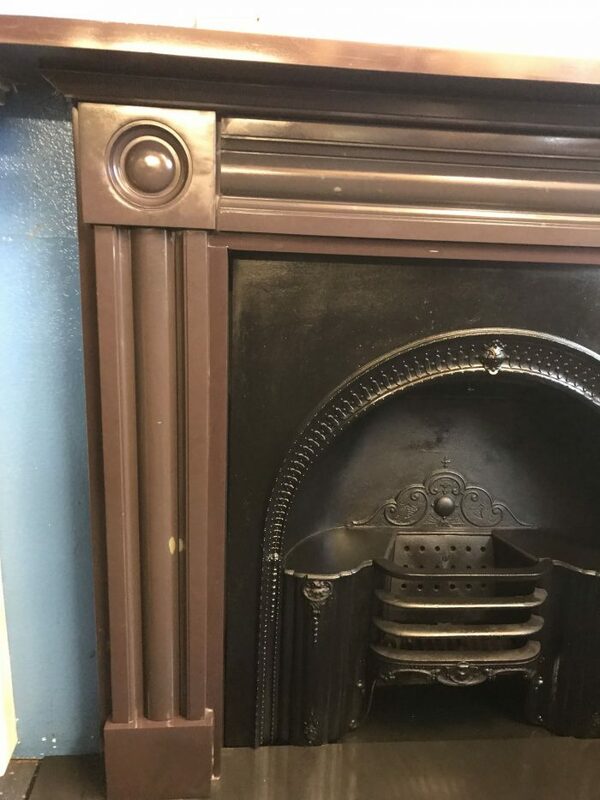 Georgian purple welsh slate bullseye surround with original arched insert made by The Falkirk Foundry dated 22/12/1843. 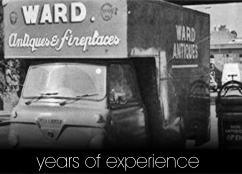 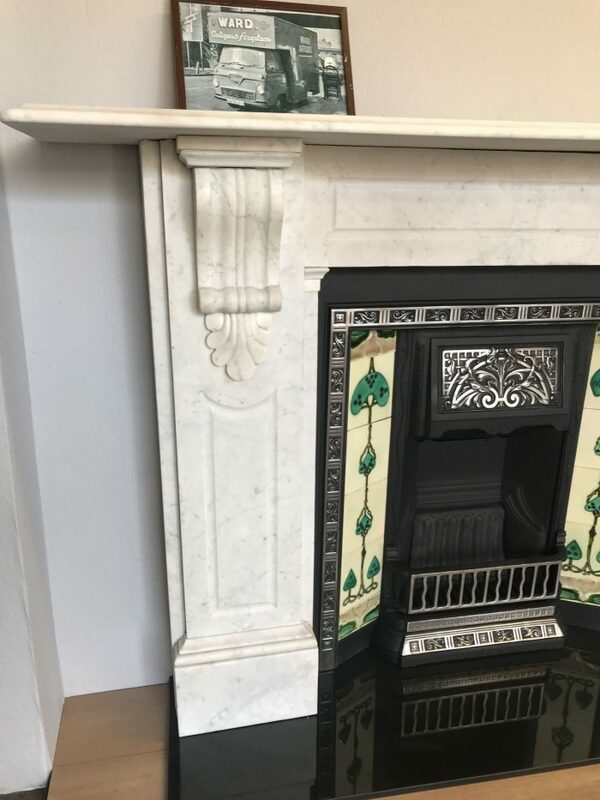 Sold together as we could not separate them as they have been together for 175 years. 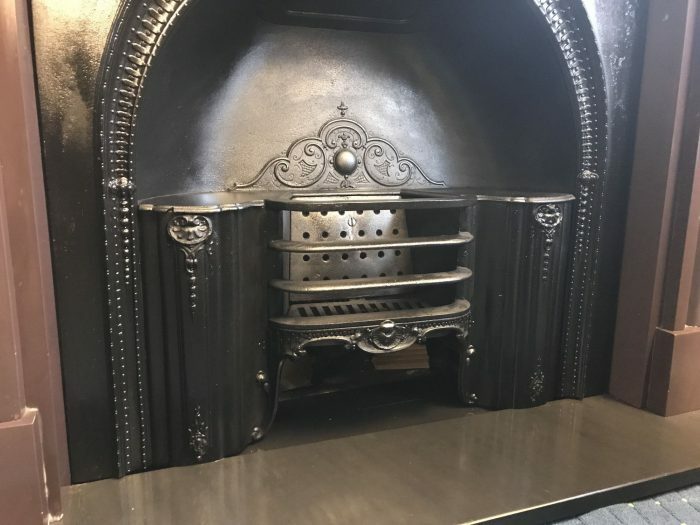 All fully restored and ready to fit. 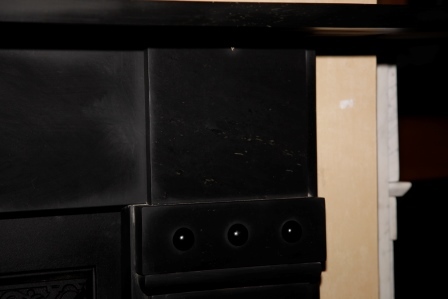 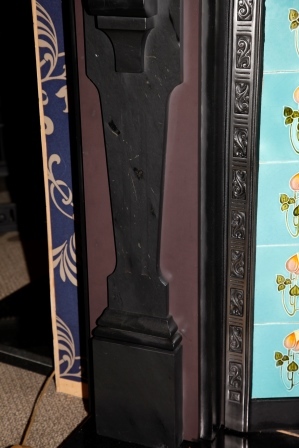 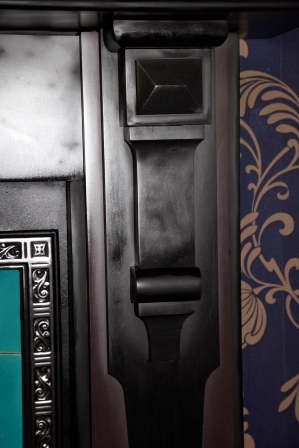 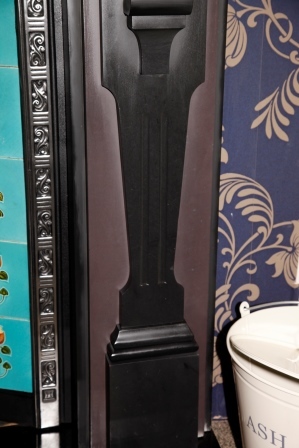 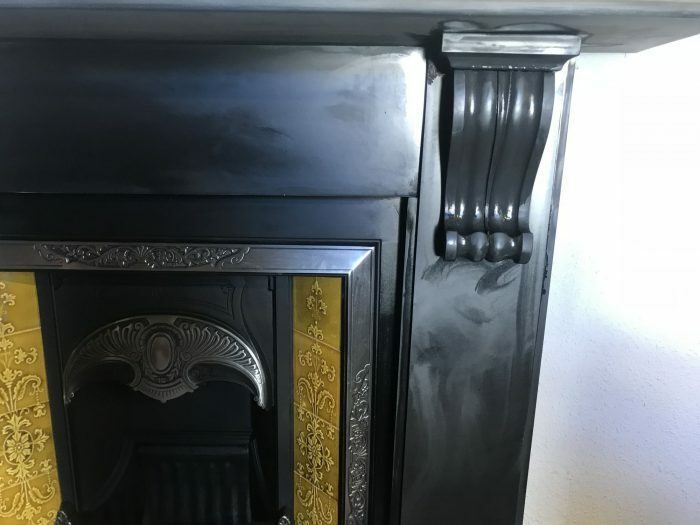 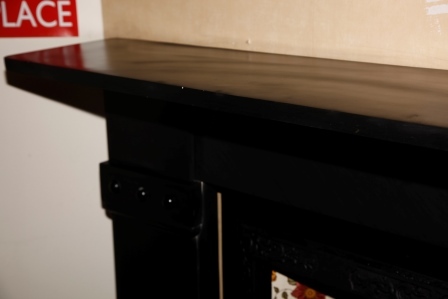 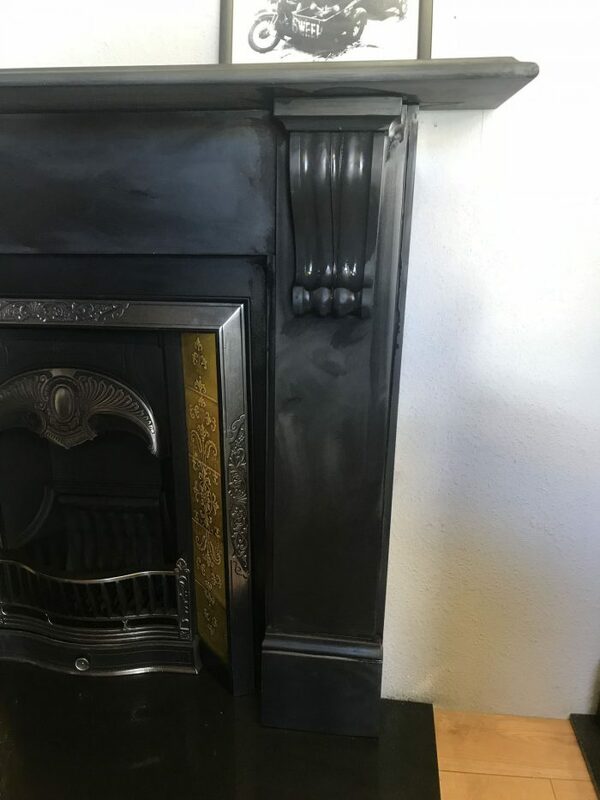 Fully restored late Victorian welsh slate corbel surround, circa 1890. 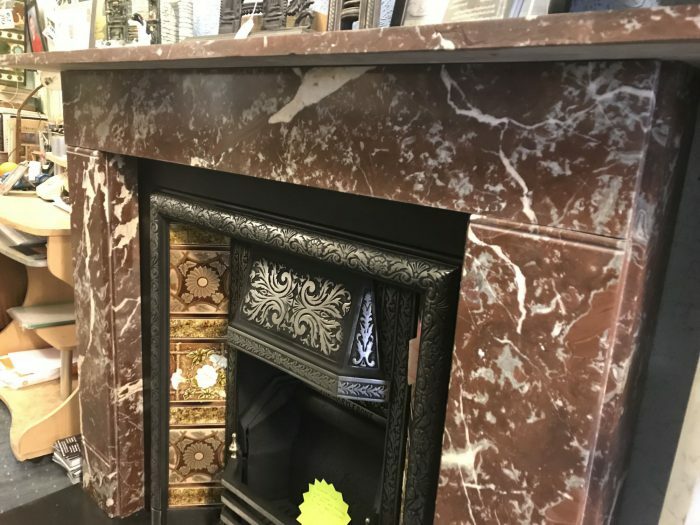 Edwardian rouge liver marble surround fully restored, 1900 - 1910. 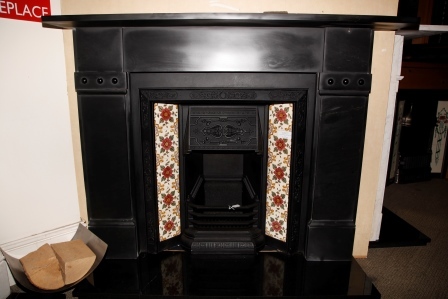 We have a pair of these surrounds. 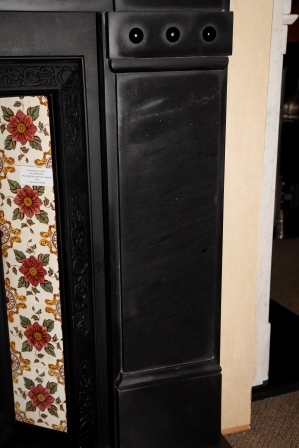 Very rare scagliola fireplace circa 1880. 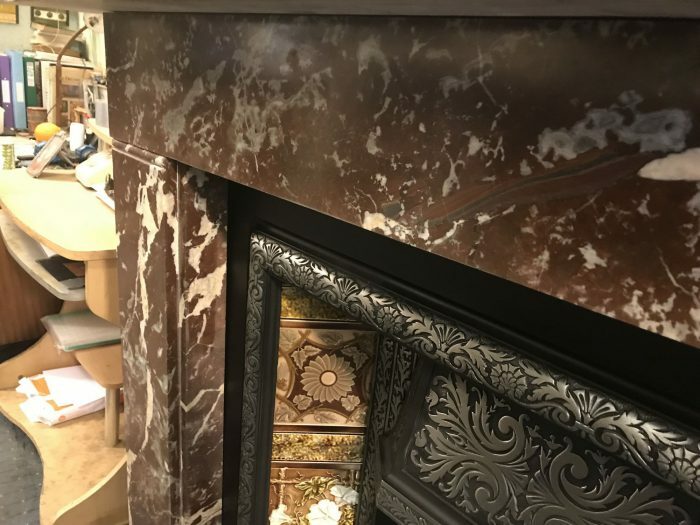 Scagliola is made from selenite glue and natural pigments imitating marble it was first made in Italy in the 17th century. 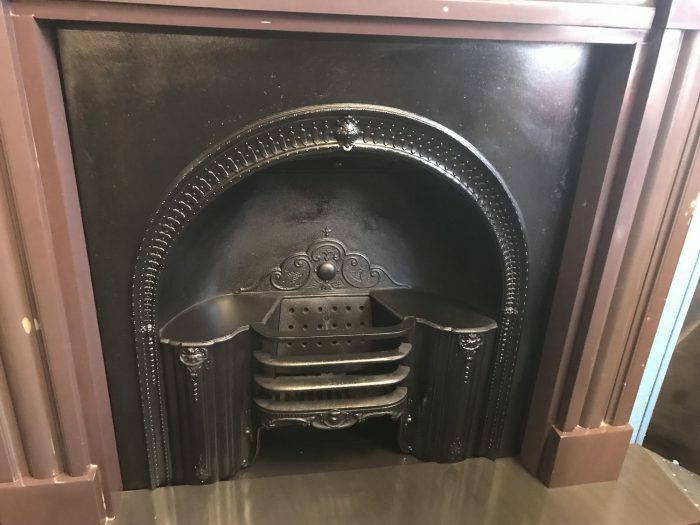 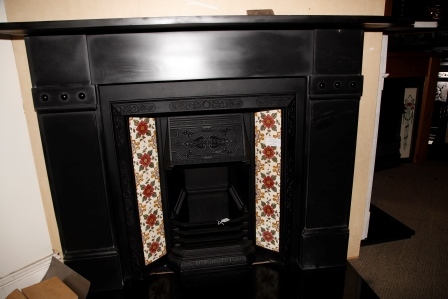 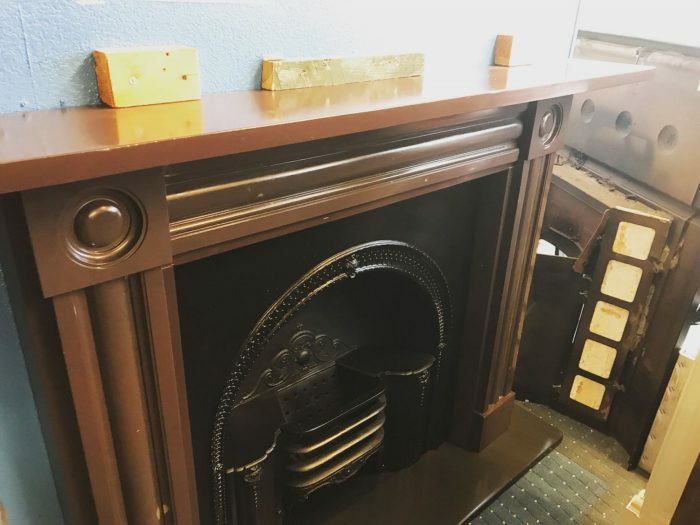 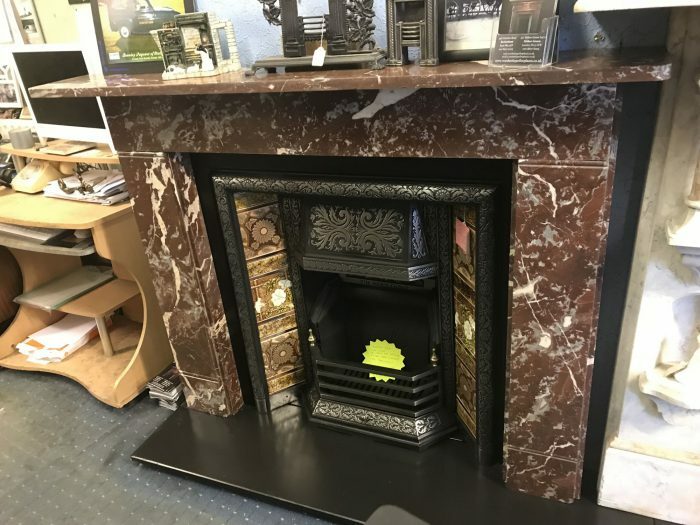 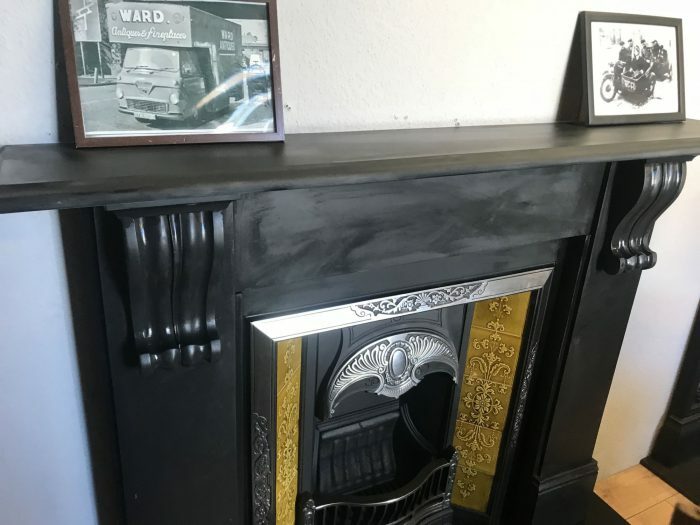 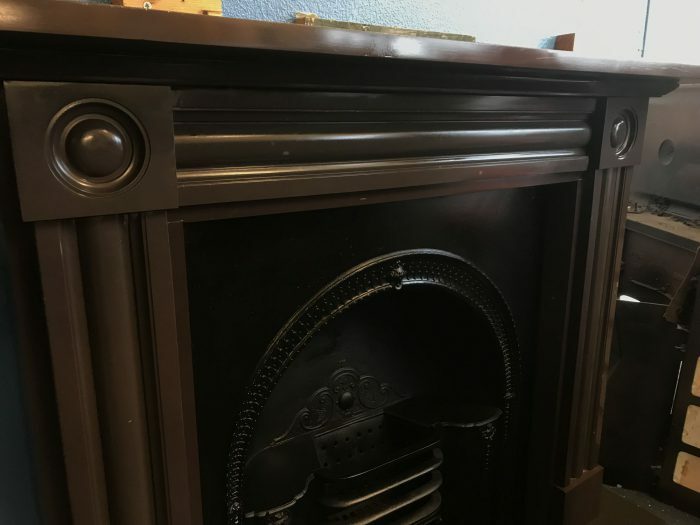 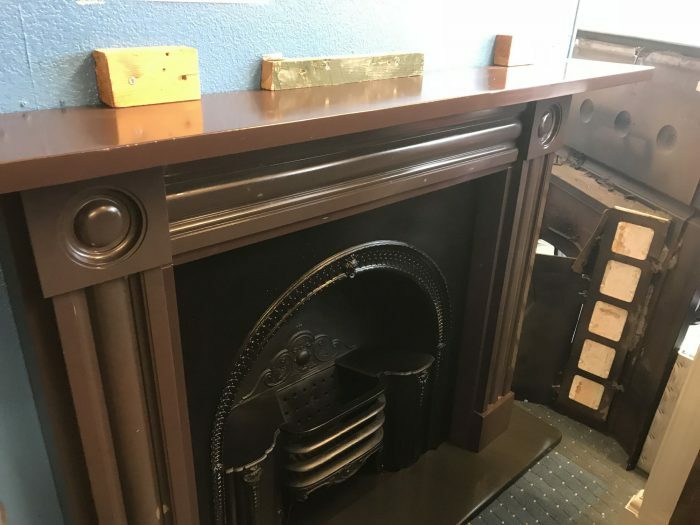 It is very rare to see a fireplace for sale as it is easily broken when moved so not many survive. 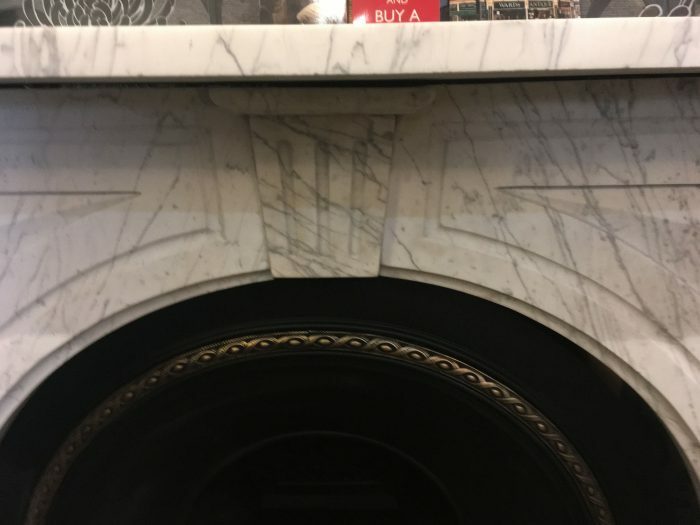 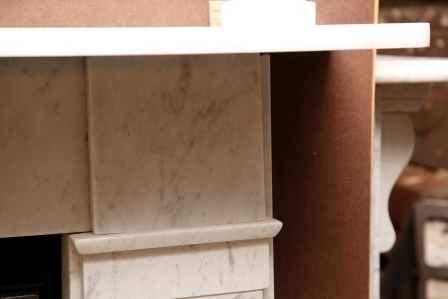 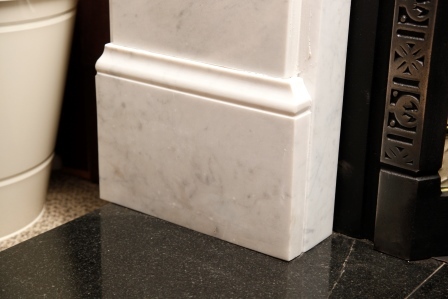 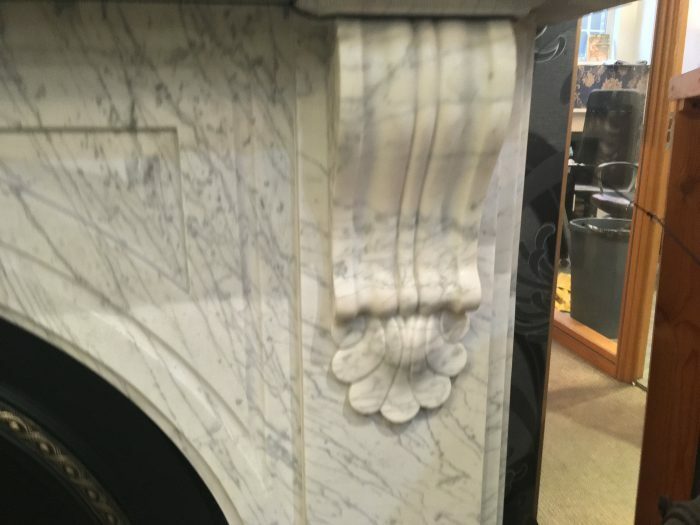 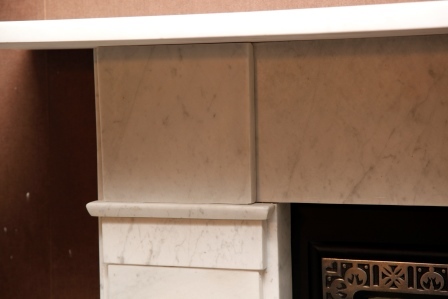 This fireplace is imitating carrara marble with siena columns. 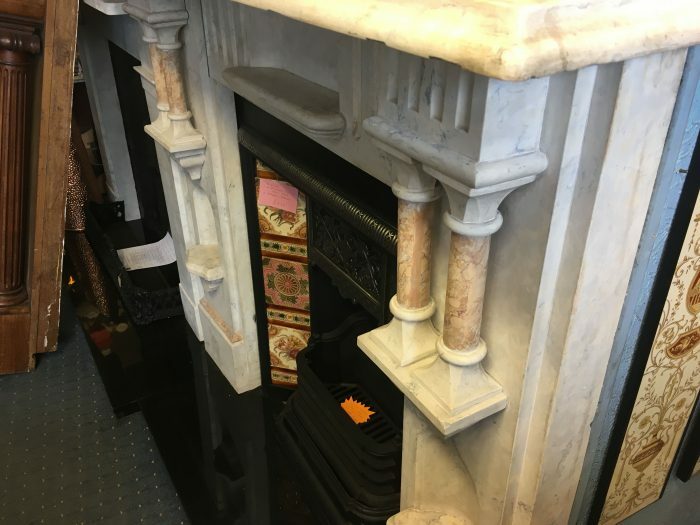 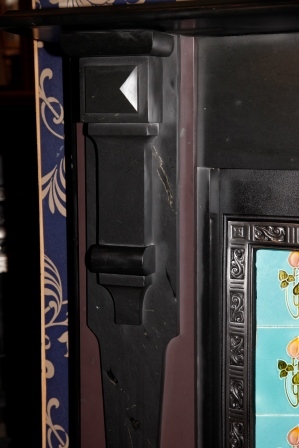 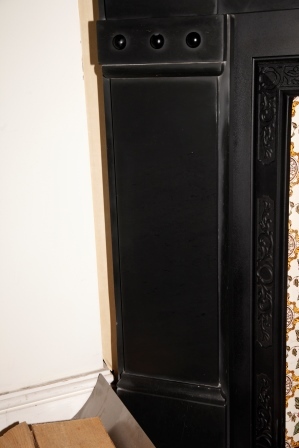 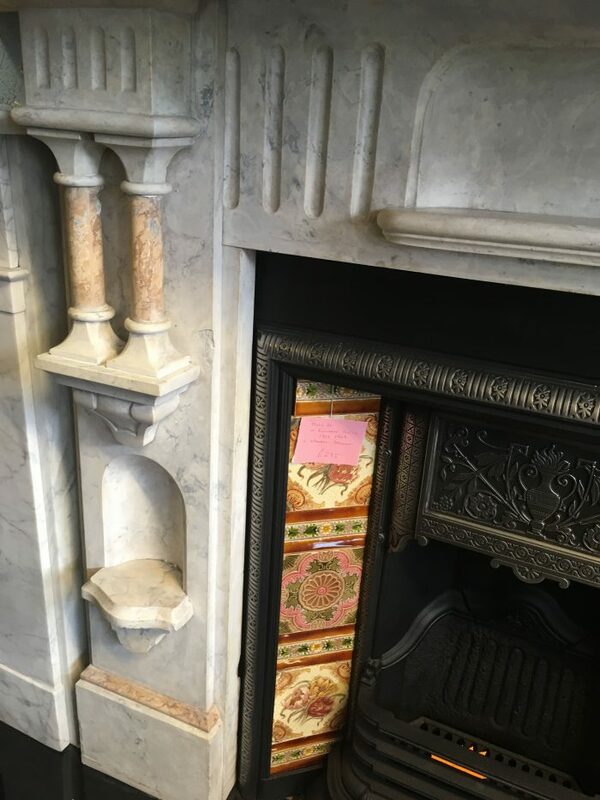 There is a scagliola fireplace in the queens closet at Ham House, Surrey. 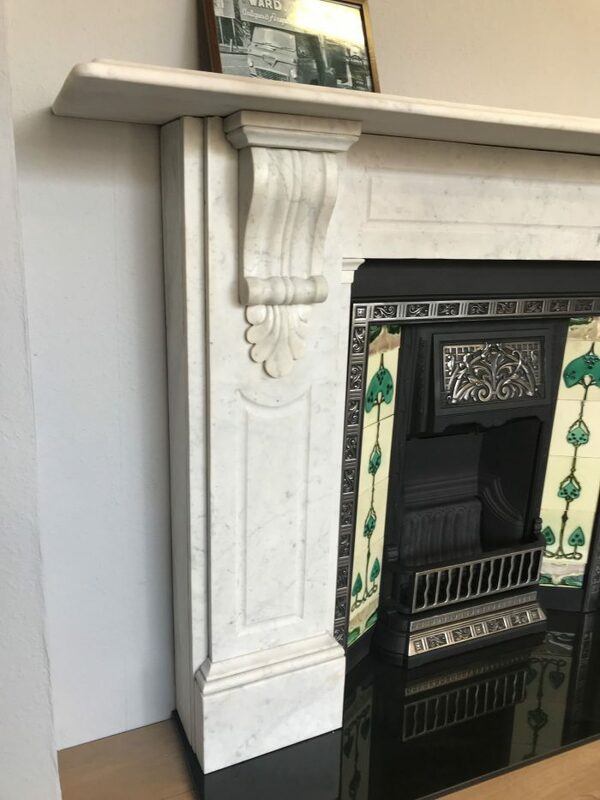 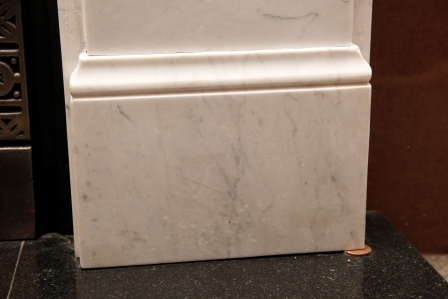 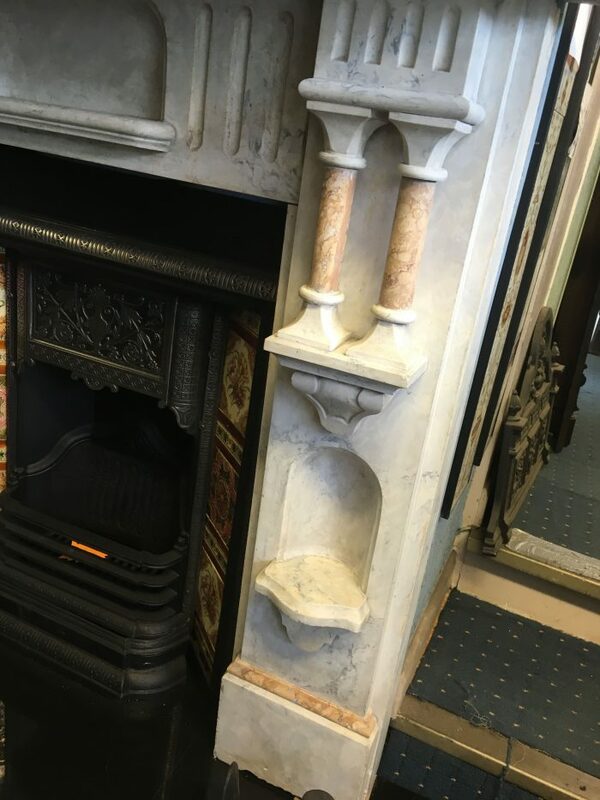 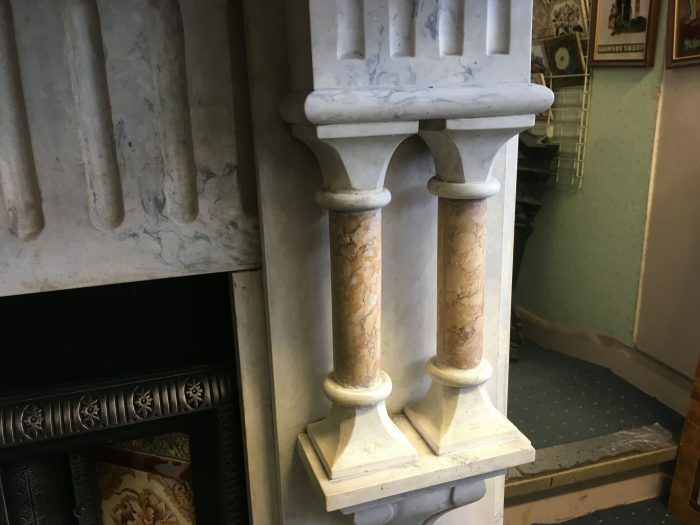 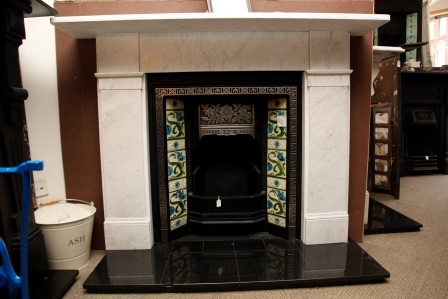 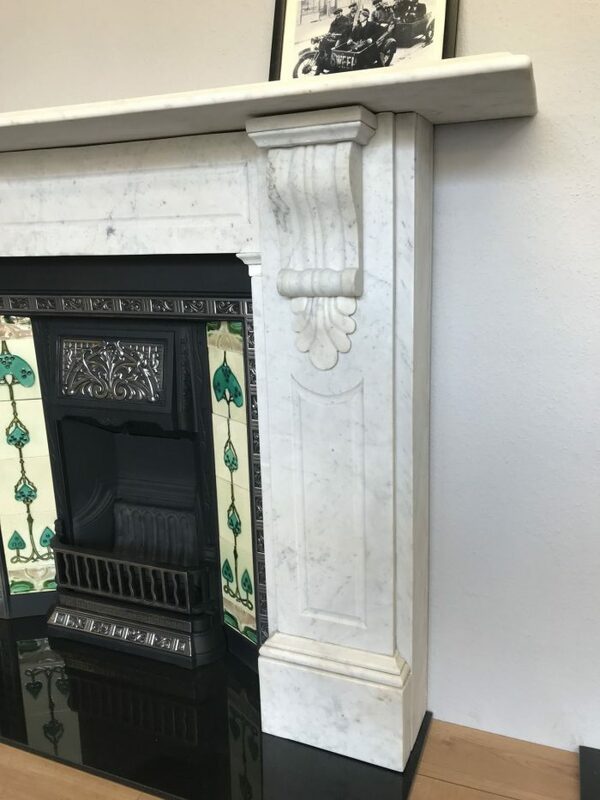 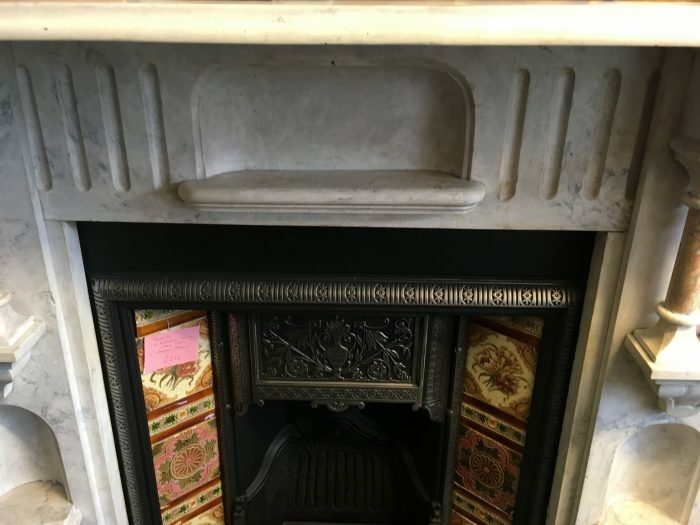 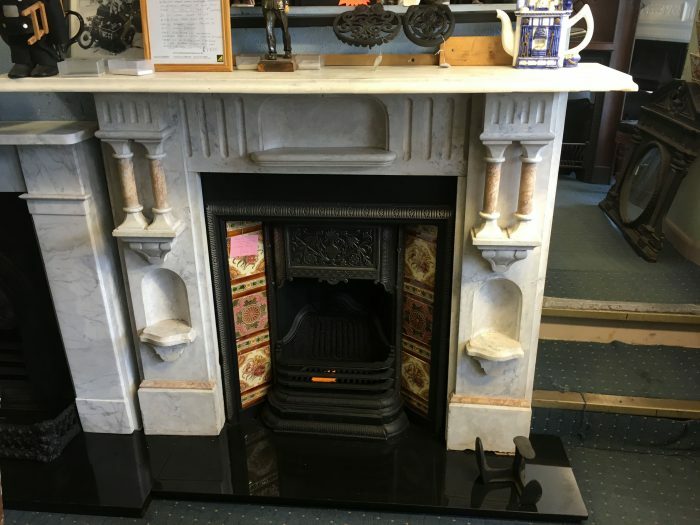 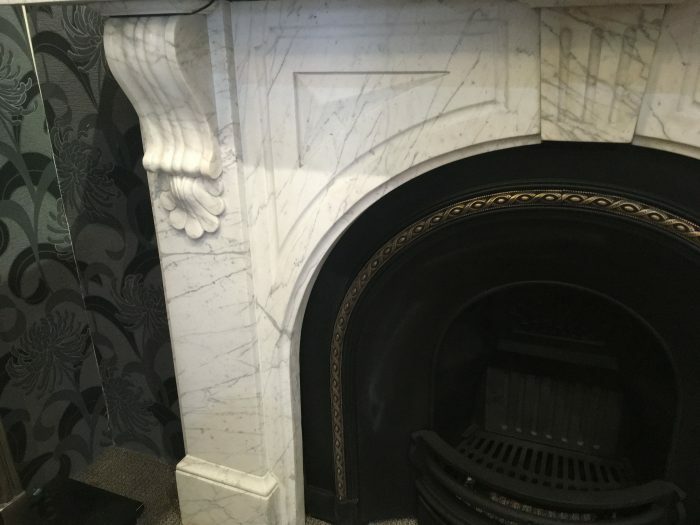 A very rare and hard to find Victorian Carrara corbel marble surround fully restored.